Riddle me this: are you prepared to pay US$180k? 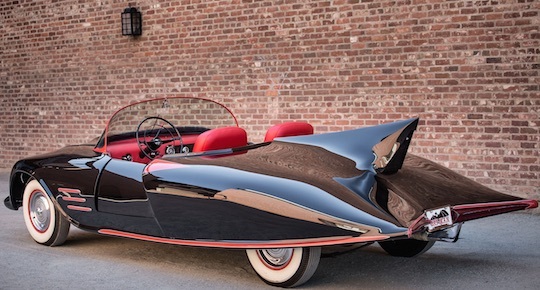 A heavily-customised Oldsmobile said to be the first officially-licenced Batmobile will go to auction later in December. Created in 1963, three years before the infamously camp Batman TV show hit the airwaves, DC Comics allowed a US chap named Forrest Robinson to build a Batmobile, according to Heritage Auctions. The hammer-wielding firm says Robinson was built for private use but eventually leased it to others who used it in Batman promotions. Because the car was built before the TV show started, it was a bit off-brand so once replicas of the vehicle used on telly emerged Robinson regained control of the car. He then sold it and the vehicle then went unloved until a 2008 re-discovery and restoration.